Your maximum recording time available is displayed at the center of the capture screen. It is determined by the resolution of the video and the available space on the device. 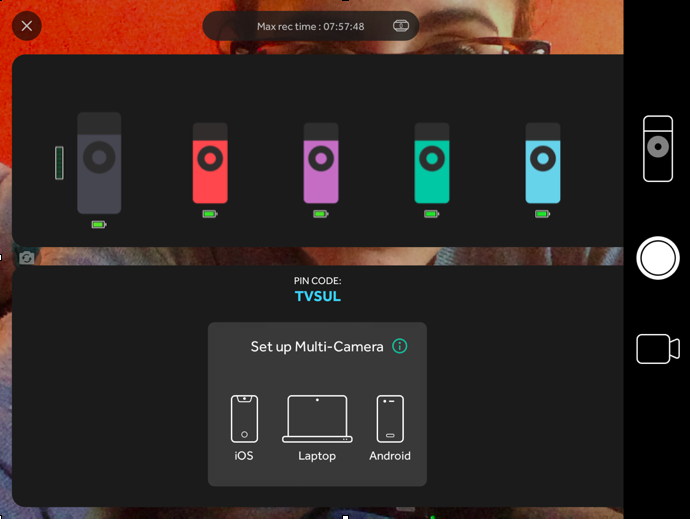 You can modify the resolution of the video by going into the Settings of the Swivl app and changing the Video quality from HD to SD.